RookSoft - quality, integrity, speed, and excellence: a single package for all your software development needs. At RookSoft, we have decades of experience in developing desktop applications, web applications, and mobile applications in a variety of programming languages and for a variety of different platforms. Check out our completed projects and our client list. Among our many clients, we've worked with recent startup Now This News and industry giants like Salon and The Huffington Post/AOL. Salon is an online magazine which was launched in 1995 and has continued operation for over 17 years. The American Journalism Review called it the Internet's "preeminent independent venue for journalism." Additionally, Salon has received numerous awards over the years since its inception. Salon has been an industry leader for online breaking news, politics, culture, technology, and entertainment. Salon has over 10 million monthly unique visitors and currently ranks in the top 400 most visited sites for US web users and in the top 1300 most visited sites for worldwide Internet users, although Salon did recently reach a high of 800th worldwide. RookSoft developed the mobile apps for iOS (iPhone and iPad) and Android (smartphones and tablet devices) platforms for Salon. This is an ongoing project. Now This News is a recent startup founded by Huffington Post co-founder Ken Lerer and former CEO Eric Hippeau and is a new social news video site. Now This News is all about making news more fun and interesting for the YouTube-watching crowd. Now This News is serious about news, hiring former CNN exec Eason Jordan, former ABC News Digital executive producer Ed O’Keef, and former Washington Post executive director of digital news Katharine Zaleski. 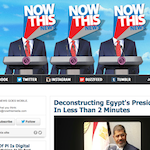 RookSoft was part of the team that developed the Now This News mobile app for iOS (iPhone and iPad). The Huffington Post is a US site offering news, blogs, and content from around the world. In February 2011, AOL acquired The Huffington Post for US$315 million. The Huffington Post was named second among the 25 Best Blogs of 2009 by Time, is ranked the most powerful blog in the world by The Observer, and Arianna Huffington, co-founder of The Huffington Post, was named as number 12 in Forbes' first ever list of the Most Influential Women In Media in 2009. 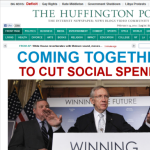 The Huffington Post was a client of ours from October 2010 to March 2012. Fahim Farook, RookSoft's CTO, was the lead developer for their iPad app, developing an iOS-native iPad app for The Huffington Post as well as contributing to the iPhone version. His work with The Huffington Post continued on after the acquistion by AOL and spanned two separate versions of the app. The Huffington Post mobile app for iOS (iPad only) app ranks in the top 100 apps in 36 countries. Along with mobile applications, we will develop the necessary accompanying websites, back-end systems, desktop applications, etc. Whether your organization needs a simple mobile app - iOS (iPhone and iPad), Android, Blackberry, Windows Phone, or other - or an end-to-end solution encompassing multiple platforms and multiple technologies, you've come to the right place. Contact us now to discuss your project needs. At RookSoft, we are dedicated to producing quality applications which meet (or exceed) deadlines. We are dedicated to exceeding our customers' expectations and delivering quality service. Our aim is to be the best iPhone developer in Singapore and to help create a reputation for Singapore as the place to go to for world-class mobile developers. Currently, our main focus is on mobile development with around 20 of our own applications on the Apple iTunes store and over 35 additional iOS applications developed for clients. We've also developed several Android applications. Additionally, we've developed websites including custom plugins for Drupal, Mambo/Joomla, and WordPress in addition to a variety of desktop applications for Windows OS. To see a more detailed list of some of our clients and the projects we've completed for them, please see our Projects page and our clients page. Fahim is the guy you should hire. He is able to promise a bunch, deliver on time and include extras that you weren't even smart enough to ask for in the first place. By far one of the most attentive developers we've ever had the pleasure to work with. Responsive, responsible, and very thorough with the work. Fahim is your one stop developer for all your iPhone requirements. Visit our Testimonials page to read more testimonials from a few of our satisfied clients. Which of these is a day of the week: Friday, hospital, ant or T-shirt?